Darren Scheuner D.C. is the principal chiropractor at Atlas Chiropractic. His interest in Chiropractic unknowingly started in his early years as an electrician. A surfing accident however, left him severely struggling with years of varying back, neck and health issues.It was after Darren received great results with chiropractic care, he had the realization the electrical wiring systems he worked on were much like the nervous system of the body, carrying the electricity of life. His path was now chosen, and after studying a health science degree, was accepted to study at the Prestigious Palmer Chiropractic College in The USA. Darren furthered his studies and becoming a Board Certification Atlas Orthogonist, has now been in practice for 9 years on the Gold Coast and is one of few Upper Cervical Chiropractors in Australia. 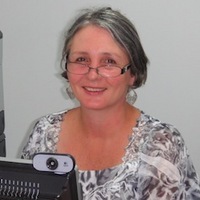 Karen has been our Gold Coast office manager since the clinic opened in Burleigh Heads. She has enjoyed the Atlas Chiropractic journey in what has become her 9th year with the team. What has made her job fulfilling is seeing the positive difference Chiropractic care, breathing programs, and MedX programs have made with so many of the clients. Narinda has been a dedicated part of the Varsity Lakes team on the front desk for the last nine years. She believes in the atlas chiropractic philosophy and lives it along with her husband and four sons. It is a real joy to be welcomed with such a smile and have her as part of the healing team. Cathy is not only a housewife, mother of three and eldest sister to Dr Darren Scheuner, but is our passionate Buteyko breathing practitioner. Why? Because Cathy saw the amazing health benefits that the breathing program has had on the health of her children and family. She now wants to share this life-changing program with everyone else. Cathy has intently studied the Buteyko method and is continually amazed at improving the life and wellbeing of so many Gold Coast people by simply educating and retraining their breathing behaviour.